Whether you do Toastmasters, Lions Club, Agora Speakers, debates, or other presentations, The Timekeeper is a speech timekeeper’s delight! No longer do you have to stare at a stopwatch in order to flick the timing lights and record times - this app does it all. 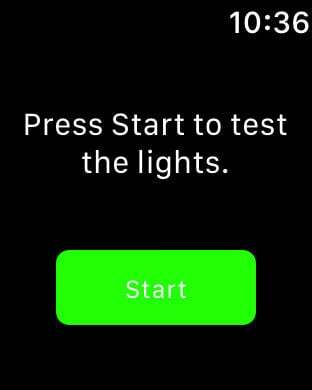 Even better, you can even control the start and stop the timer using your Apple Watch! The Timekeeper screen displays a large green light up to the first time limit to signify the speaker is safely within the allotted time. At the second time limit, the light automatically turns orange to warn the speaker that time is running out. At the third time limit, the light turns red to signify that time has expired, all whilst recording the final times. The lights are easily visible to a speaker up to a distance of 5 meters. Without the Apple Watch, the start / stop button is easy to find without having to look at the screen. The screen can therefore be visible to the speaker at all times - very crucial in a contest as every second counts! For the visually impaired speakers, The Timekeeper even includes the option of a bell sound!